Batteries are powered by a variety of minerals from all over the world. This is an exploration of which minerals are used, how these minerals work, and how the battery industry is faring today. Which Minerals Are Used in Batteries? When you build a battery, there are four overarching components that you need to fill. These are the internal hardware, the electrolyte, the chemistry, and the casing. The core of these components is made of up foundation blocks; foundation blocks are the raw versions of materials that are needed to construct a battery. Why is the chemical component of a battery so important? Batteries, broken down to their most basic form, are systems that are designed to convert and store electrochemical energy. This electrochemical energy is then used to provide portable power sources to an appliance or other device. If chemistry didn’t change the stored chemical energy into electric energy, the batteries wouldn’t be able to power anything. This is why it’s crucially important for the minerals used in batteries to be available. In 2007, 4,315,000 babies were born in the United States. That’s more than four million people using up this massive amount of minerals. When compared to the numbers, 6,481 mines isn’t nearly enough to cover the massive demand for minerals. Currently, Chile is the leading producer of lithium chemicals. The following most major producers of the chemical are China, Argentina, and the United States. The United States is the lead consumer of lithium-related minerals and compounds. In addition, the US is the foremost producer of lithium materials with value added. Only one company in the US produced any lithium compounds — Silver Peak Mine, run by the Chemetall Foote Corporation in Nevada. Not only is lithium used in batteries, but it’s used in glass, ceramics, lubricating grease, polymers, pharmaceuticals, aluminum production, air conditioning, chemical processing, continuous casting, and treatment of bipolar disorder. The USGS estimates that the United States used 5,000,000 pounds of chemical lithium in its batteries in 2005. Meanwhile, cadmium was estimated to have seen 1,312,000 pounds of use in rechargeable batteries over the same time period. Cobalt, which is primarily used for the electrodes of a battery, has a usage total of a staggering 23,800,000 pounds in rechargeable batteries. Regarding the annual quantity of overall nickel consumption, the estimate by the USGS places nickel usage at 426,000,000 pounds of nickel used in rechargeable batteries. 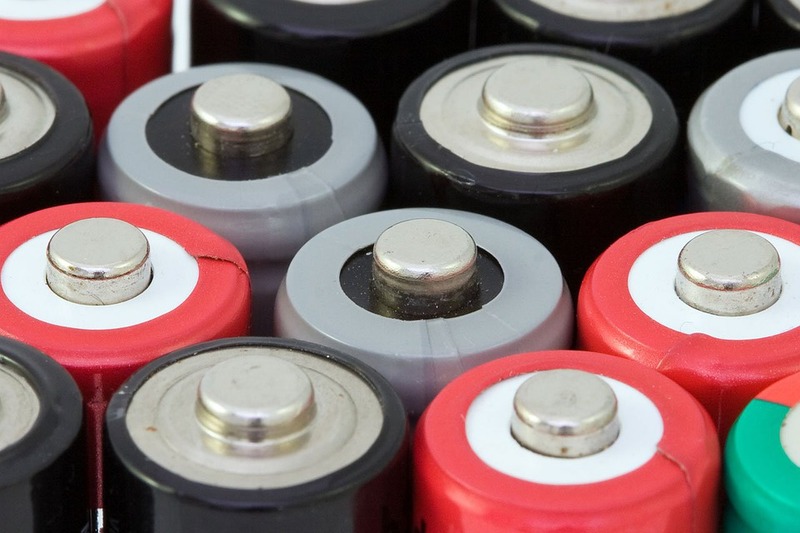 An estimated 350 million batteries are purchased in the United States each year. This means that billions of batteries have been bought and are currently in circulation. Such demand will ensure that mining operations continue for a long time. Right now, enough metals and minerals are available for extraction from mines. But decades down the road, the mineral industry could face serious problems.